Parts 3 – 5. Parts 1 and 2 are in the Crabbet Influence Magazine 2001 International Issue. *This article continues from the 2001 Crabbet Influence magazine where Carol Mulder covered the Australian Crabbet show in Part 1 and the Crabbet Convention Part 2. Below is Part 3 – her visits to several Australian Crabbet Studs, Part 4 – Pedigree Analysis of what she saw, and Part 5 – her final observations regarding the whole trip. After the convention I stayed on in Australia long enough to visit 10 Arabian studs, plus one that bred Egyptians. The owner of the latter had recently died and I got no notes; it will not be mentioned in this report. These 11 studs were in proximity of where I was staying with friends in Victoria and on the way to the Sydney, New South Wales, airport. Space does not allow details of the stud visits and all the horses seen, but I will try to mention a few at each stud that were highlights to me; in some cases these will not even be all that I liked at each stud. While most of the mentioned horses will be Crabbet or part Crabbet, not all will be. This year at Geoff Brown’s small Erinsdale Stud in Victoria I liked his 1987 chestnut stallion PAMPAS SABAN (*Mahabi El Shaklan 328360 x Sh Stephanique 285926). Both of his parents came from the U.S. This horse was well balanced and had a nice head with small ears. He also appeared to be a good sire. I had liked him in 1991 when I had seen him as a 4 year old and now I liked even better because full maturity has done him full justice. Geoff also had a 1994 chestnut daughter of Pampas Saban. She was ERINSWOOD OBSESSION (x Wincar Ramify). This mare was elegant and beautiful, well balanced, and of very good quality. Mill Park Pertrice (Ruberto x Pernelle) 1995 brown mare at Mill Park Stud. At the 100% Crabbet Mill Park Stud of Shirley Douglas, in Victoria, I saw several I liked, but only have room to mention three: MILL PARK ZARIFA (Arfaja Haluj x Wellworth Lilac) was a 1987 chestnut mare. She was way too fat, but I liked her a lot. MILL PARK PERTRICE (Ruberto x Pernelle) was a 1995 brown mare. She was outstanding – one of the ones I liked best this year. MILL PARK TALI (Ruberto x Amareece) was a 1995 dark bay. This was a mare of quality. Paywit Stud in Victoria is owned by Nick and Dorothy Byrnes. They have the stallion FENWICK RASINDH (Sindh x Fenwick Rasifa), a 1985 chestnut. This was a big horse. Here I saw the excellent mare TANNENBAUM SOLITAIRE (Fenwick Renaissance x Silver Lining), a 1991 bay; I liked this mare a lot. I did not learn the name of the sire of the new foal at her side. At the Victoria farm, Beldanar, of Belinda Orders I again saw MEADOW VIEW KARNAK, one of my favorite stallions this trip. Also there was a gray 2000 filly, only a month or so old, by this stallion (x Avonsleigh Gailetta); the filly looked quite promising. I also liked Belinda’s other stallion, JOMAIN ALLE MASSIAH (Niarob Ben Alex-Zhinn x Arabian Park Serene), a 1992 chestnut. Clarendon Karla (Simsaar x Silver Seraph) 1991 bay mare at Clarendon Arabian Stud. 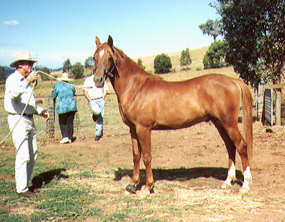 The Clarendon Arabian Stud of Arthur and Sheila Castle is near Bena in Victoria. They bred CLARENDON RAZETTA, the Reserve Champion 75% Crabbet Filly at the show. Here I saw CLARENDON KARLA (Simsaar x Silver Seraph), a 1991 bay mare. This was a nice mare, very similar was her 1989 bay paternal half-sister CLARENDON LATIIF (Simsaar x Dynaska). The latter’s maternal half-sister, 1984 chestnut CLARENDON DYNARA (Amir El Shaklan x Dynaska) was quite pretty. Pevensey, the stud of Leon Bennett, is near Wagga Wagga in New South Wales. Leon is partner with Rob and Yvonne Day of Moonlite Stud. At Pevensey I very much liked the 1998 bay filly PETRA BENAY (Magic Prophecy x Santarabia Porfira). This nice filly had a neat look to her. Leon had SARAFIRE (Samiri x Devotion), a 28 year old bay stallion foaled in 1972. Due to age this old horse was thin, but I liked him as he stood. He had good bone and large joints, with good feet. He had a nice head and neck, and his neck came out of his shoulders well. I was glad to get to see this well known old horse. Francis R. and Elizabeth K. Staunton have Torryburn Stud near Tarcutta, New South Wales. Francis is a retired veterinarian. He asked me about the great American sire Abu Farwa, the old Kellogg Ranch in California, etc. – subjects on which I can speak with firsthand authority (in fact, I am the last Arabian horse person still living who can so speak). At Torryburn they breed both Arabians and Anglo-Arabs. There were several fine mares here, but space prevents mention of all those I liked. Torryburn Gindari (Baskeer x Torryburn Wamida) 1998 chestnut colt at Torryburn Stud. Here I saw 1998 chestnut TORRYBURN GINDARI (Baskeer x Torryburn Wamida). This colt was one of the most brilliant and correct natural trotting Arabians I have seen in years (we saw him at liberty in a large paddock); certainly he had the best trot I saw in Australia this year. This is the inherited trot for which the Arabian horse was renowned and appreciated for centuries by practical European horsemen who sought and utilized it in the development and improvement of some other breeds, such as the Russian Orloff Trotter which was primarily developed from the Arabian. It seems to me that this colt’s superior and fabulous trot must be bred on, particularly in a breed which is now alarmingly losing the genetic potential for this ancient breed trait because too many people today select away from it, not understanding the trot, a fact for which we can blame modern artificial and arbitrary show and ‘horsemanship’ standards that have little or nothing to do with utilitarian usefulness or efficiency (but a lot to do with destructive modern fads). This colt’s trot made my spirits soar and filled me with joy. He moved almost identically like Alyf, the 1938 Kellogg chief sire I used to ride. Francis observed that they thought this trot came through from Crystal Fire in this colt’s pedigree. A look at Crystal Fire’s pedigree certainly indicates this probability because it shows multiple crosses to Crabbet action sources *Berk 343 and on back to the desert bred Crabbet foundation sire Azrek, renowned for his superlative trot as a progenitor in the breed for same. TORRYBURN FESTIVITY (Baskeer x Torryburn Gaiety), 1992 chestnut, was a blood-sister to Torryburn Gindari. This feminine mare had a lovely head, neck, and forehand. She, too, was turned out for us to see her trot and she also moved unusually well, but not with quite the same stunning brilliance of her brother. At Torryburn there was a 2000 chestnut colt (Bremervale Pretender x Torryburn Jalida) which appeared to show promise. He featured outstanding hindquarters, among his other good traits. Rob and Yvonne Day, partners of Leon Bennett, have Moonlite Farm near Wantabadgery, New South Wales. Here we saw the 21 year old chestnut mare SANTARABIA PORFIRA (Ruberto x Peridot) foaled in 1979. 1 had already seen and liked two previous daughters of Santarabia Porfira: Portia Benay at the parade and at Leon Bennett’s Petra Benay. Therefore, it was a gratifying privilege to see this good mare who has been such a particularly fine producer – for me, one of the most noteworthy producing mares I saw in Australia this year. At her side she now had a stunning chestnut 2000 filly (by Arfaja Robard), aged one-month and with a lot of white; this special filly had a real ‘look at me’ appearance and carried herself with great verve and style. Another good foal, also one month old, was the 2000 gray filly (Silver Somerio x Lyndale Razala). 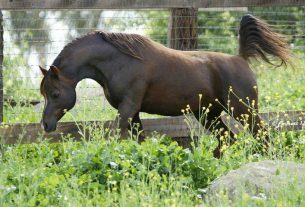 At Moonlite we saw SILVER SOMERIO at home, turned out in his large, grassy paddock on sloping ground. At the Convention parade this stallion had seemed low-key, but at home he came alive with considerable verve and beauty. He was impressive. This horse also moves well. He was was one of the best stallions I saw in Australia this year. At the Star Park Stud of Astra Temple, near Depto, New South Wales, we saw the 1984 bay stallion PURE STAR (Manfred x Kim-Dande Flash Magic). I wanted to see him because I had seen his sire (named after one of Lord Byron’s famous literary successes) at Lady Anne Lytton’s in England in 1975, when he was a yearling, and had then liked him. Of Astra’s four Pure Star daughters, I liked best 1994 chestnut STAR PARK KATARYNA (x Mandrina, by Manfred); thus, this is a double Manfred pedigree. I think my dear (deceased) friend Lady Anne Lytton, daughter of Lady Wentworth, would have been pleased that I saw these Manfred descendants in Australia. Meadow View Silver Nickel (Nickelsilver x Nijinska) 1989 chestnut mare at Menangle Park. The small farm of Richard and Jill Cerveny at Menangle Park is near Sydney, New South Wales. Arriving there, I almost instantly spotted MEADOW VIEW SILVER NICKEL (Nickelsilver x Nijinska), 1989 chestnut mare. She was one of the best mares I saw in Australia this year. She was of good size, well balanced, and correct. The Cervenys had recently refused to sell this mare for export from Australia. They also had a 2000 gray colt (Naazim x Nijinska) which looked quite good; thus there were two Nijinska produce here that I liked. Naazim (Mustafa x Naadirah) 1975 gray stallion at Menangle Park. At this same farm was another of the best stallions I saw in Australia in 2000. He was the last horse I was to see during this trip to Australia. NAAZIM (Mustafa x Naadirah), a 1975 gray, was 25 years old. A well known and popular book, Naadirah, The Arabian Dream, by Tanya Hawley, about Naazim’s dam, was published in Australia some years ago. Naazim was beautiful, well-made, and had a lovely head. Due to his old age he was rather thin, and due to a relatively recent injury he was very crippled in his right hind leg which did not work right (it seemed a strange version of something like string-halt), but he did not let it stop him in the least. During my 2000 Australian visit to Victoria and southern New South Wales, I believe I may have seen a few hundred horses; whatever the total number, for myself I particularly listed some 74 1 liked best; these were 21 males and 53 females. As is the case everywhere one goes to see Arabian horses, I saw some horses I liked very much, many average ones, and some I did not much like. Included in my personal list of 74 are a few which had faults which might have disqualified them from my list had they not also had such superlative assets that the assets overwhelmed, eclipsed, and transcended the flaws. It is only coincidence that my list of favorites numbers the same (74) as my 1991 Australian visit list of favorites, about which I wrote in the April/May/June 1993 issue of The Crabbet Influence magazine. There is not enough space in this article to itemize all the horses on my 2000 list of 74, but I have done an overall pedigree analysis of them to see which bloodlines had the most influence. 35 x *GREYLIGHT (Bright Shadow x Royal Radiance). 1959 gray bred by Crabbet in England; imported to Australia in-utero 1958 by Mrs. A.D.D. Maclean for her Fenwick Stud. 29 X *SINDH (*Silver Vanity 22555 x Silfina). 1958 chestnut, bred by Crabbet; imported to Australia 1961 by Fenwick. 20 x *RIFFAL (Naufal x Razina). 1936 bay bred by Lady Yule, England; imported to Australia 1947 by Fenwick. Stood 16 1/4 hands (average Arabian size 14.1 to 15.1 hands). 16 x BRIGHT SHADOW (Radi x Pale Shadow). 1948 chestnut bred by Mrs. P. Mounsey-Heysham in England; about 1951 purchased by Crabbet; never in Australia. 11 x *SILVER VANITY 22555 (Oran x Silver Gilt). 1950 gray bred by Crabbet; to U.S. in 1962; never in Australia. 13 x *SHAFREYN (*Royal Diamond 12906 x Sharfina). 1954 chestnut bred by Crabbet; imported to Australia 1956 by Mrs. Maclean. 13 x *SILVER MOONLIGHT 53652 (Indian Magic x Silver Fire). 1949 gray bred by Crabbet; imported to Australia 1951 by Mrs. Maclean; to the U. S. 1969. 13 x BAZ (Rakib x Barada 11). 1950 gray bred by Fenwick in Australia. 100% Crabbet. 11 x RASHAM (Greylight x Sparkle). 1975 gray bred by R.W. Ryan in Australia. 100% Crabbet. 11 x SARDONYX (Greylight x Nejmet Es Subh). 1969 gray bred by Fenwick in Australia. 100% Crabbet. 9 x *RAKIB (Nax x Rythama). 1934 gray bred by Mrs. G. Bromley in England; imported to Australia 1938 by H.S.D. Hirst. 100% Crabbet. 9 x RUBERTO (Sindh x Ringlet). 1968 brown bred by Fenwick. 100% Crabbet. 8 x FABULOUS (Riffal x Fadoura). 1961 brown bred by Fenwick. 100% Crabbet. 7 x *JABAL IBN MONIET 84882 (Ibn Moniet El Nefous 33488 x Roufah 31962). 1972 chestnut bred by J. Stream in U.S.; imported to Australia by E. Bligh. In Australia this horse’s name was changed to Al Karim Jabal Ibn Moniet and the Australian stud book has the wrong person listed as his breeder. Egyptian pedigree. 7 x *RISHEEM (Irex x Rishka). 1944 bay bred by Mrs. E.M. Carroll in Ireland; imported to Australia 1945 by Mrs. R.J. Legoe. 100% Crabbet. 6 x *CRYSTAL FIRE (Dargee x Rosinella). 1952 chestnut bred by Mrs. S. Bomford in England; imported to Australia 1961 by Mrs. and Miss Bligh. 100% Crabbet. 6 x *ELECTRIC SILVER (Raktha x Silfina). 1948 gray bred by Crabbet; imported to Australia 1950 by Fenwick. 6 x MOROCCO (Risheem x Fickle). 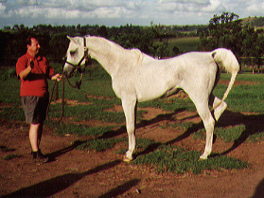 1969 gray bred by Mrs. E. Tucker, Australia. 100% Crabbet. 5 x *COUNT MANILLA (*Count Dorsaz 14388 x Namilla). 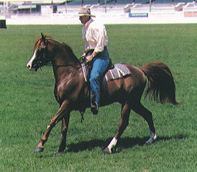 1952 chestnut bred by Miss G. M. Yule in England; imported to Australia 1957 by Mrs. R. Bligh. 93% Crabbet. 5 x *EL SHAKLAN 268260 (Shaker El Masri x *Estopa 309769). 1975 gray bred by Om El Arab in Germany; to U.S. 1982 by Om El Arab. Egyptian/Spanish. 5 x *MUSTAFA (Hadban Enzahi x Masarrah). 1969 gray bred by Marbach Stud in Germany; imported to Australia by D.E. Kemp. Egyptian/German. 5 x ORAN (Riffal x Astrella). 1940 chestnut bred by Lady Yule in England; owned by Crabbet. 15.2 hands. 5 x *ROYAL DIAMOND 12906 (Oran x Grey Royal). 1948 gray bred by Crabbet; to U.S. 1957. 5 x SOMERLED (Baz x Silver Radiance). 1971 gray bred by Fenwick. 100% Crabbet. 5 x TAFADIN (Ramadan x Tafileh). 1958 gray bred by G.A. and Mrs. Lewis in Australia. 94% Crabbet. 20 x *ROYAL RADIANCE (*Royal Diamond 12906 x Silver Gilt). 1955 gray bred by Crabbet in England; imported to Australia 1959 by Mrs. A. D. D. Maclean for her Fenwick Stud. 16 x SILFINA (Indian Gold x Sharfina). 1944 chestnut bred by Crabbet. 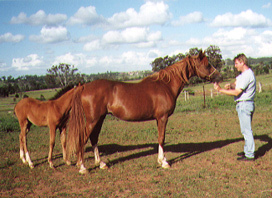 An unusually large mare – she stood 15.2 hands. 10 x PERFECTION (Sindh x Helawi). 1963 brown bred by Fenwick. 100% Crabbet. 10 x RINGLET (Riffal x Ruheym). 1962 brown bred by Fenwick. 100% Crabbet. 10 x RUHEYM (Rakib x Rualla). 1946 gray bred by Fenwick. 100% Crabbet. 10 x SPARKLE (Shafreyn x Starflower). 1966 chestnut bred by Fenwick. 100% Crabbet. 8 x NEJMET ES SUBH (Rakib x Nasifa). 1948 gray bred by Fenwick. 100% Crabbet. 7 x FADOURA (Fayrial x Badoura). 1950 gray bred by Fenwick. 100% Crabbet. 7 x SEFRA (Rossfennick x Fickle). 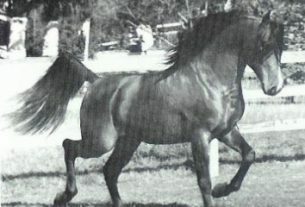 1962 gray bred by Mrs. E.F. Tucker and B.W. Hinkley in Australia. 100% Crabbet. 7 x SILVER RADIANCE (Electric Silver x Royal Radiance). 1960 gray bred by Fenwick. 100% Crabbet. 6 x FICKLE (Riffal x Fadoura). 1956 gray bred by Fenwick. 100% Crabbet. 6 x NICKEL (*Silver Moonlight 53652 x Nisib). 1959 gray bred by Fenwick. 100% Crabbet. 5 x ELDOURA (Electric Silver x Badoura). 1952 gray bred by Fenwick. 100% Crabbet. 5 x HELAWI (Rakib x Carlina). 1949 bay bred by Fenwick. 100% Crabbet. 5 x PERIDOT (Greylight x Perfection). 1969 bay bred by Fenwick. 100% Crabbet. 5 x ROSE PEARL (*Silver Moonlight 53652 x Rosinella). 1958 gray bred by Fenwick. 100% Crabbet. 5 x SHARFINA (Rytham x Sharima). 1937 chestnut bred by Crabbet. Never in Australia. 5 x SILVER DOURA (*Silver Moonlight 53652 x Eldoura). 1964 gray bred by R.A. and V.M. Gresinger in Australia. 100% Crabbet. 5 x WELLWORTH LEILANI (Morocco x Sefra). 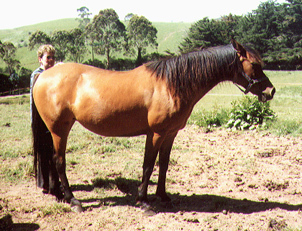 1974 gray bred by Mrs. E.F. Tucker in Australia. 100% Crabbet. Roxborough Bandoleer (Roxborough Banco x Roxborough Laila) 1995 chestnut stallion. The three most exciting Arabians I saw on this 2000 trip were: the stallion MEADOW VIEW KARNAK because of his superlative Arabian style, type, and breed character combined with pleasing substance, bone, joints, and feet; the stallion ROXBOROUGH BANDOLEER because of the Arabian beauty and excellence of his cleanly cut head, neck, and entire forehand, again combined with good bone, joints, feet, and substance; and the colt TORRYBURN GINDARI because of his fabulous and superior trot that absolutely took my breath away. I was also particularly impressed with the father-son stallions SILVER SOMERIO and ARFAJA DANYON (pictured at top of page as the article/header photo) both displaying particular merit; of added interest to me was the fact that they are son and grandson of Somerled which was one of my favorites in Australia during my 1991 visit; in fact, Somerled remains one of the best Arabian stallions I have ever seen in my life, anywhere (Somerled was still, in 2000, alive in New South Wales at age 29, but was no longer breeding). 1) Australian Arabians generally have better bone, joints, and feet than the general population of American Arabians. The Crabbet stock, particularly, is likely to have excellent bone, joints, and feet. One might see a few more off-set cannons than one sees in America, but definitely fewer other foreleg misalignments, and in Australia one sees far fewer animals with light bone and small, defective feet. It seemed quite obvious to me that the excellent bone, joints, and feet are coming from the Crabbet bloodlines – and that care must be taken to preserve these traits so that breeders of all bloodlines may in future tap into them. Otherwise, they will eventually be lost. When one compares the excellence of such bone, joints, and feet with what is usually seen in America these days, the difference is forcefully apparent and makes it appear that America has already gone too far in the direction of losing these extremely valuable traits. 2) It appeared to me that more Australian Arabians of Crabbet lineage have beautiful heads with finely cut, sharp, small ears than are usually found in modern American Arabians with Crabbet lines. In fact, the Crabbet lineaged horses of Australia have some very, very beautiful heads, indeed, and they are characteristic to Crabbet and sharply distinctive from the beautiful heads of other bloodlines; they are their own Crabbet form of Arabian beauty. 3) Conversely, one sees more poor hindquarters in Australia than one sees in America. 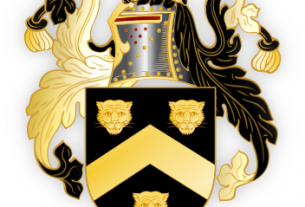 This is true not only among the Crabbet lineaged animals, but also among other bloodlines. The faults are multiple and may appear in various combinations or even all in one individual. Because some people do not understand what I mean, I think it is necessary to elaborate to make myself clear. a) Hindquarters standing too high in relation to forehand, making the individual appear quite unbalanced in the literal sense of the word (riding such a horse is uncomfortable and seems to be downhill all the way), and sometimes (but not always) contributes to a somewhat low back. b) Slack loins, sometimes contributing to varying degrees of lowness of back, particularly as the animal ages. c) Rough, too prominent, coupling which is jarring to the eye and and takes away the appearance of flowing smoothness, symmetry, and strength, although it may not actually affect strength. d) Dropped off croup, which is jarring to the eye and may or may not adversely affect performance (there is controversy about this), but certainly negatively affects breed characteristic evaluation because one of the traits of an Arabian is a level croup (not meaning ‘table-top croup’ which is a serious conformation fault I did not observe in Australia among the animals I saw, although it is sometimes seen in America in some bloodlines, almost never Crabbet). d) Shortness in length of croup and/or length from point of hip to point of buttock, all of which is in discord, creates a lack of balance in the symmetry of the horse, and may (probably does) contribute to a lack of power of hindquarters. d) From the rear view a triangular appearance in structure, often in America called ‘rafter hips,’ rather than a square pelvic structure; the triangular appearance looks, and may actually be, weak, quite aside from the fact that it is seriously incorrect and jarring to see, and contrary to the premise that in order to be a good Arabian an Arabian must first be a basically correct horse. However, most Crabbet lineaged Arabians I saw in Australia, even if they had some or all of the other hindquarter flaws, usually (but not always) had correct square pelvic structures when viewed from behind. 4) Judging from photographs, these hindquarter faults, as well as hind legs sometimes too far behind plumb and some occasional low-back problems, were apparent in some Crabbet Arabians during the lifetime of Lady Wentworth, particularly toward the end of her life. It appears that she may have concentrated on the valuable traits of beautiful forehands, lovely heads, good bone, joints, feet, and hocks close to the ground, not sufficiently heeding hindquarters. I believe that people everywhere in the world, where specific ‘national faults’ exist, and/or faults within their own breeding programs, get so accustomed to seeing them that they come to view them as ‘normal,’ as I know many Americans no longer see the bone, joint, and feet problems in too many (but certainly not all) American Arabians. 5) Regarding the serious flaw of low backs – one seldom sees them in America, but I did see a few in Australia, although they are certainly not common there either. In America they have historically been so strongly discriminated against in the gene pool that they have all but disappeared. 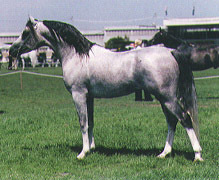 Thus, it appears to me that extremely valuable national strengths of Australian Arabians are excellence of bone, joints, and feet (qualities steadily disappearing in the general world population of the Arabian breed), and beauty of heads, with old-fashioned, small, sharply cut ears (such characteristic Arabian ears are also steadily disappearing in too many gene pools). I simply cannot state strongly enough the value of the bone, joints, and feet of Australian Crabbet lineaged Arabians. I firmly believe that American breeders should tap into these extremely valuable resources to improve what might be considered national lacks in America. 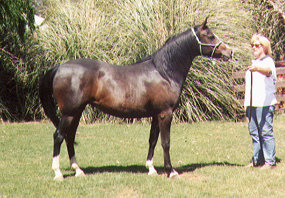 Conversely, it appears to me that a sort of national fault of Australian Arabians may be hindquarters and that Australian breeders might find improving genetic material from American lines featuring excellence of hindquarters (specifically particular Crabbet/American lines); good hindquarters seem to be found more often in American Arabians than in Australian Arabians. For both American and Australian breeders it would be a challenge to juggle the good features of both groups in the attempt to combine the good of both while eliminating the flaws. After all, that is what breeding is about – always striving to produce elusive perfection. It should be said, however, that breeders of 100% Crabbets in every place where such animals are bred will have to attempt to maintain excellence of hindquarters from within the 100% Crabbet gene pool. This can be done because there are still plenty of good hindquarters in the 100% Crabbets, but it will take longer and will require patience and determination, with definite standards as the goal. The end results would be almost like a super-Arabian which could serve the future of the Arabian breed for generations to come. I think that breeders everywhere should seriously consider these points. When I was in Australia in 1991 I was extremely pleased to find that horse foot care in Australia adhered to the proven old traditional standards and methods which resulted in superb good health of feet and legs. In 1991 these old traditional standards were almost forgotten in California where I lived; in 1991 1 did not know how far these artificial modern practices had spread elsewhere in the United States. Anyway, I wrote about this in my series of Crabbet influence articles about my 1991 Australian visit. Now I wondered when I returned to Australia in 2000 if I would see any changes in foot care. I was extremely happy to find that the Australians are still keeping to the old traditional, time-proven methods of trimming, dressing, and shoeing. I am much relieved because now, in 2000, 1 know that the American artificial tampering of feet (going under guise of modern technology and improvements), changing them from the natural into most odd-looking aberrations, has for sure spread in the United States well beyond California and even has some new twists (‘innovations’) added since 1991. Because most modern horse owners in America are too young or too new to horses to have ever seen the old, traditional ways and results, they simply do not know any better. They get accustomed to seeing the abnormal results and believe they are normal. I know that some American farrier schools even teach these modern artificial things, qualifying their graduates to do all the ‘sophisticated’ expensive and sometimes actually negative things. Most of such farriers do not themselves know what used to be and they do not understand when one tries to talk to them about it. The results are that in America one sees many botched and butchered feet changed from natural to strange looking and artificial. These feet are unhealthy and alter natural function of tendons, bones, etc., etc. They also alter the natural gaits of the horse, most noticeably the trot; this changing of the natural gaits is actually a primary goal. The most commonly seen artificial altering consists of blocking up forefeet heels higher than is normal (just short of making them into club feet) and snubbing off forefeet toes (different from cutting down toes). This makes a strange looking foot (somewhat like one sees on stuffed toy horses for children) with abnormal function primarily affecting gait and tendons. When I talk to American horse owners about this they simply do not understand. They are too accustomed to seeing the bad and being told it is sophisticated and good. Most Australian Arabian owners fully understand. Australian Arabian horse people and farriers know a normal and good foot from a bad foot, and they know good foot care from bad. They know. They believe in keeping feet as nature intended and thus keeping them healthy. of course, I am discussing the vast majority of feet in Australia, not the few with special problems that might need special treatment. Such rare feet do receive required special treatment in Australia – but normal feet are left normal and natural with superb results. It was extremely refreshing to see in Australia in 2000 all the healthy, sound feet with normal heels and toes, and thus healthy tendons and legs, of course due partly from their good genetic influences, but also in large part due to the excellence of the old, traditional farrier care. I wonder if Australia may (?) be one of the last places where such proven, successful, and healthy foot care my still be seen and learned? The feet and foot care one sees in Australia is nothing short of beautiful – and encouraging. It is acutely depressing to know what, in this field, we have lost much and terribly in America. I can only wish and hope that more Americans will go to Australia to see for themselves – and learn.